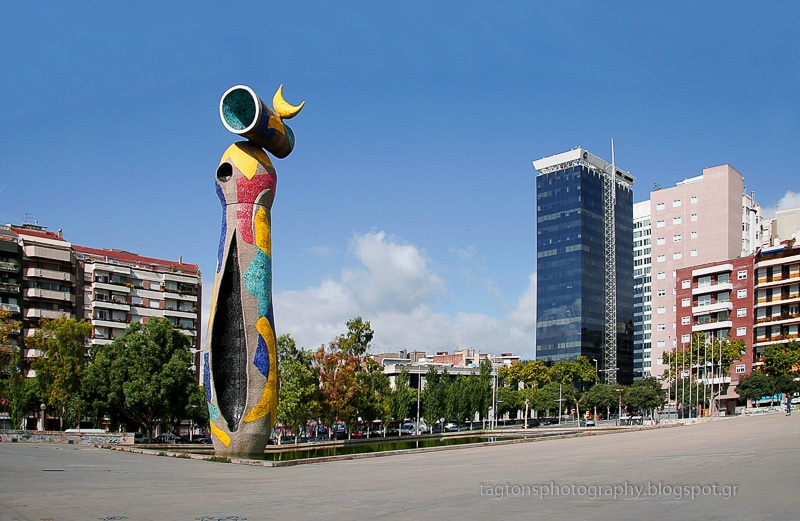 “Dona i ocell” [Woman and Bird] was created in 1982 by the Spanish Catalan artist Joan Miró in collaboration with Gardy Artigas. 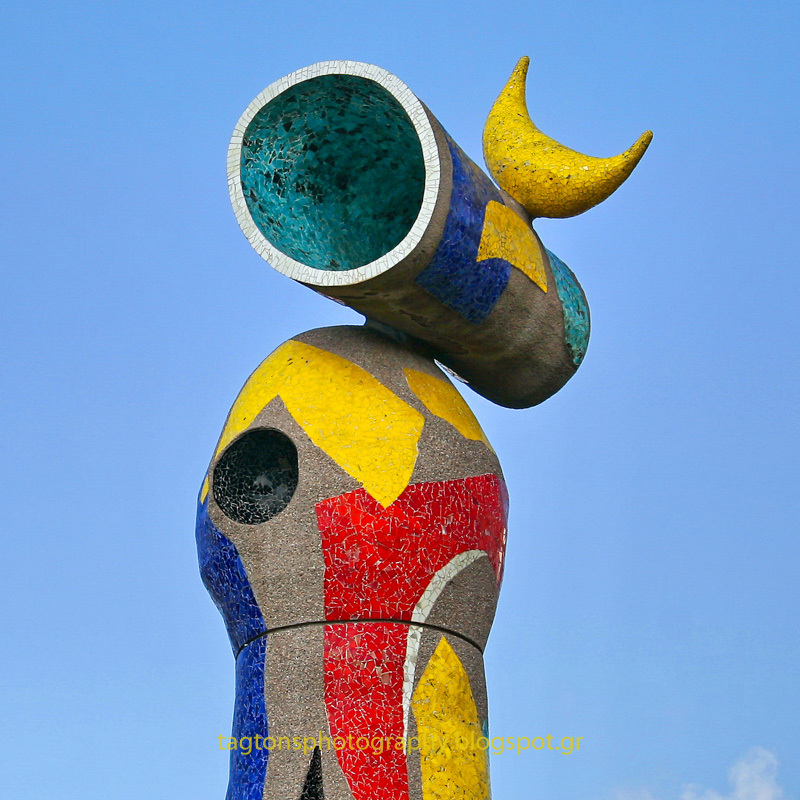 The statue - 22m high - is made of concrete and is covered with ceramic tiles that were styled by Joanet Gardy Artigas. 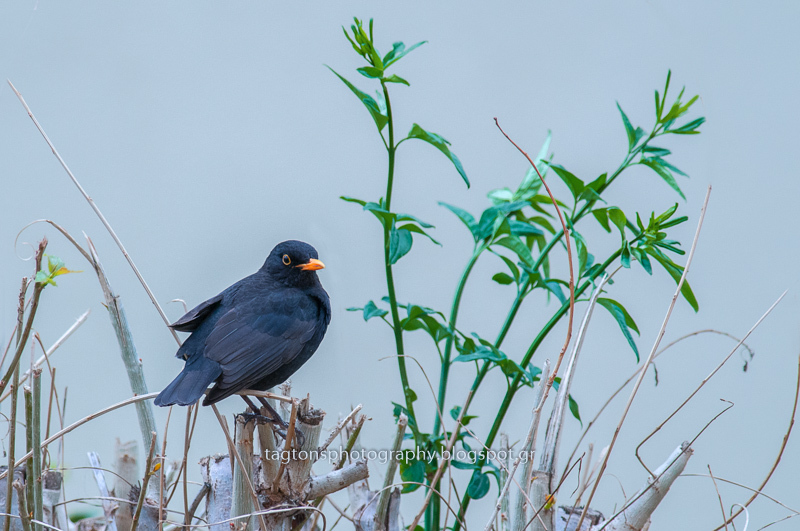 Today, it can be seen in Parc Joan Miró in Barcelona.